The IS3c combines Zylight's unmatched colour-mixing technology and high-quality construction to meet the demands of location and studio professionals who require an extremely bright and wide soft source, while offering all of the innovative features for which Zylight is renowned: Fully dimmable with minimal colour shift, adjustable colour temperature and colour correction, unlimited colour control, integrated ZyLink wireless control, and rugged construction for years of reliable service. 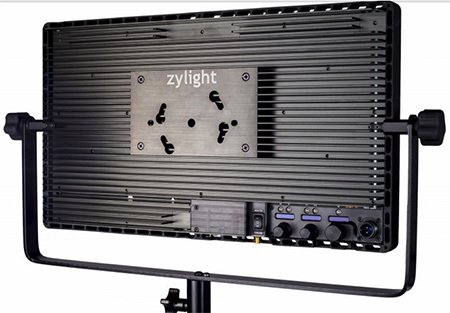 All functionality of the Zylight IS3c can be controlled via DMX through industry standard XLR connectors, or remotely via the built-in ZyLink wireless link. A USB port is included for field upgradeability and the built-in carry handle and shock absorption ensures rock-solid portability. 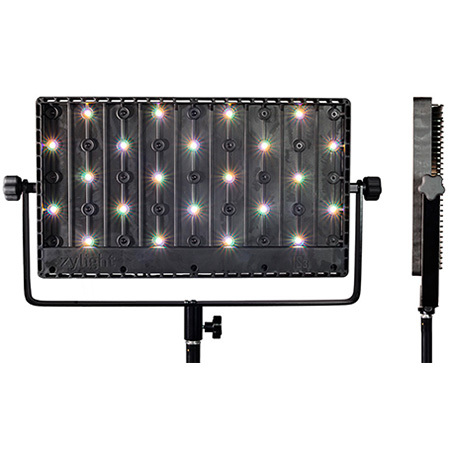 At 18" x 11" x 2" the Zylight IS3c can be powered by either AC or rechargeable battery. Tricky on-location lighting situations are quickly mastered with the IS3c's adjustable 2500K-10000K colour temperature and variable ± GREEN colour correction. 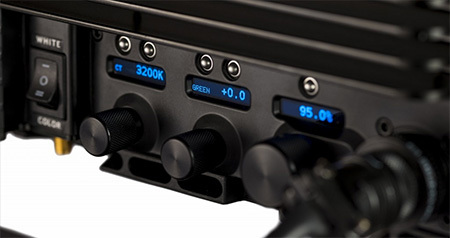 The easy to use built-in controls and sunlight-readable digital displays make set-up fast, with user-defined presets for storing your favourite settings. The IS3c's advanced four-colour mixing ensures excellent skin tones and rich, accurate colour rendition. And the IS3c's wide 90° spread means the IS3c is up to the task for shooting with wide angle lenses or in 16x9 format. Built-in ZyLink technology allows you to wirelessly link together multiple Zylights to create a soft LED source as large as you need. Zylights that are linked together act in concert as if they were one unified LED source, with adjustments made on one light changing all lights in the group.